BSR’s Clean Cargo Working GroupTM released its report on global maritime trade lane emissions for 2017. According to the report, carbon dioxide emissions from 22 top ocean container carriers, representing 85% of global containerized shipping, continued to decrease during 2017. Every year, Clean Cargo releases the trade lane carbon dioxide emissions factors for ocean container transport. This year it collected data from 22 ocean container carriers on more than 3,200 ships that represent approximately 85% of ocean container capacity worldwide. This year's reporting indicates that average CO2 emissions per container per kilometer for global ocean transportation routes fell 1% from 2016 to 2017. Since Clean Cargo began publicly reporting data from the industry in 2009, emissions per container per kilometer have dropped 37.1% on average. 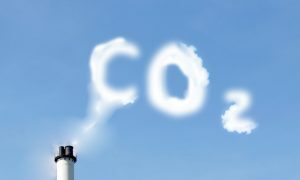 We need more innovation in low-emission technology, as well as continued collaboration, to meet the ambitious goal of halving CO2 emissions from shipping by 2050, recently announced by the International Maritime Organization. Several years ago, Clean Cargo published its methodology and reporting system that has been adopted globally. Namely, carriers submit operational data from the entire fleet to BSR on an annual basis. The results produce environmental performance scorecards for each carrier, which are used to meet supply chain sustainability goals by 95% of shipping customers who are part of the group.